Here is a question I received this week from Gina. 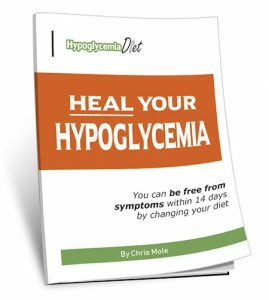 “I have a disease called Hashimoto’s thyroiditis as well as hypoglycemia. Together they make me feel most days like I’m going crazy. If I follow a really restricted diet called the auto immune protocol, I have no aches and pains and sleep a little bit better; however, my blood sugar seems to be hard to stabilize because the only carbs I can eat is fruit and sweet potatoes. I’m so lost and confused. I would like to try your diet again without any wheat because most doctors feel that there is some link between Hashimoto’s and wheat products. Your daily diet seems to rely heavily on wholemeal bread can you give me an idea of how I could do this using potatoes or oatmeal? Also I’m American and I guess I need some rules about fat. I have been a McDougaller in the past so I don’t have trouble eating carbs but I am terrified to eating too much fat, plus I’m never totally sure how much to have. So at breakfast If I have two eggs, soft-boiled and a half a cup of oatmeal with whole milk and maybe even a glass of whole milk, would that be enough fat? AIP Diet vehemently restricts all dairy, grains, all seeds, nuts and oils, eggs, processed foods, all night shades. So when I’m on that diet I eat a lot of avocados, meat, greens and sweet potatoes and that’s about it. I would love to give your diet a try again and see if I have the same success with eliminating the aches and pains but also heal my blood sugar issues, if not I will have to remain on the AIP. I think you are restricting your diet far too much and this will have a negative effect on your health in the long term. You are just digging yourself further and further into a hole. I spent several years myself restricting wheat, dairy, eggs, tomatoes, citrus fruits and various other foods. It never solved my health problems. I started to recover when I finally came to my senses and started eating everything. The problem with something like Hashimotos, is that you will read various experts’ ideas on various foods to avoid. And they will disagree with one another. Avoiding wheat (and gluten in general) is a current trend, along with dairy etc. But the more you read, the more confused you will become. You will end up being afraid to eat almost anything. So, here is my advice. 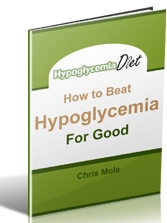 It sounds like you have already read my ebook or free report, and you know the diet guidelines I recommend. And yes, it does include a lot of wholegrain bread. Bear in mind, that for thousands of years, many civilisations around the world have eaten wheat as their staple diet. It’s a proven healthy food. This idea that humans are not designed to eat wheat, is absolute nonsense. And I know all the arguments about modern wheat being different etc. If that bothers you, find organic sourdough bread, which is the most easily digestible. (That’s what I eat mostly). To add to your confusion, you have also followed the McDougall diet. Now, Dr McDougall is a very sincere person. His diet does work for many people (to help them lose weight and improve health in the short term). But I don’t believe it’s sustainable for most people in the long term. I’ve tried the McDougall diet in the past. It was a disaster for me. So, despite Dr McDougall’s sincerity, I’m afraid he is simply wrong that his diet is the ideal for everyone. We need fats in our diet. If you have been eating a low fat diet, then you will need more fat for a while, to bring you back into balance and correct the deficiencies that come from eating too little fat. I know how hard it is to overcome fear around food. The more books we read, the worse it gets. I think you have a choice. You can keep going round in circles trying to restrict more and more foods and eating a very limited diet. Or you can face your fears and trust your body that it can heal itself, if you give it good nutrition. My advice is follow the diet I recommend, which does include wheat, dairy, eggs, butter etc. Avoid refined sugar and anything containing refined sugar. That is the only restriction I would start with. If you eat wheat (or any other food) and get violent stomach pains or other symptoms, then yes, you should probably avoid it. But otherwise, eat it and enjoy it. Likewise with butter and other fats. They won’t do you any harm. In fact, they will help to supply some fat soluble vitamins, essential fatty acids and other nutrients that you are probably lacking. You need to eat food and boost your metabolism, to get your thyroid working. The less you eat, the more your metabolism (and thyroid) slows down. So a restricted diet is just digging yourself further into a hole. So, there is my advice, if you are ready to accept it. I’m not a doctor or a trained health professional. But I have been studying health and nutrition for 40 years and tested a lot of theories on myself. I have read pretty much every diet theory under the sun – from raw vegan to paleo and everything in between. I didn’t start to get well myself until I shut out all the experts’ theories and started to trust my body to heal – started eating intuitively the foods that I enjoyed (as good quality as possible – not junk) but not cutting out anything apart from refined sugar (I even eat that occasionally, but not much). I hope this helps put you on the right path to getting well. That’s great, Mel. Thanks for letting me know.